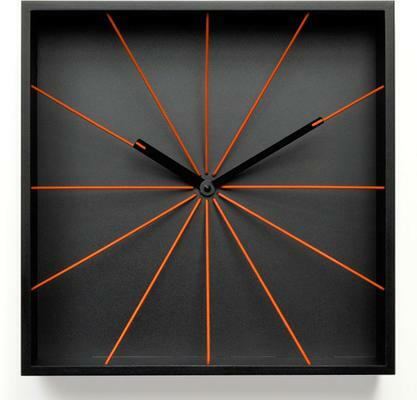 Want a wall clock that's unique and will impress guests? 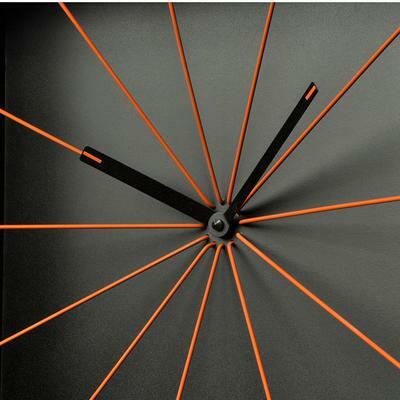 The Perspective Wall Clock is the perfect solution! 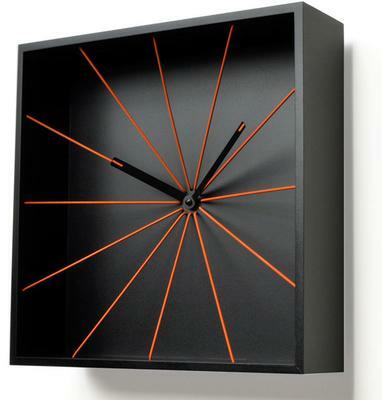 This stunning clock comes with an unusual design that is perfect for any home. It comes with a black box with various orange rods coming from the centre. These orange rods actually represent the hours. So if you need to tell the time, you just have to look at which spoke the clock hands are pointing! It's an absolutely unique designer clock you would love to have inside your office, kitchen, or even living room. The sleek black and boxy frame along with its wonderfully matte colour offers elegance like no other. *Note: These clocks are made to order so expect 2-3 weeks delivery upon initial order.